The money would pay for restoring habitats for salmon, removing barriers that inhibit the fish from reaching their spawning ground, researching ocean acidification, and removing rundown vessels on waterways. If approved, a $90 million budget request to the Washington state legislature could aggressively tackle what’s needed to help Puget Sound’s southern resident orcas survive. A request on Monday by Hilary Franz, the state’s Commissioner of Public Lands, would increases the money already being spent on restoring habitats for salmon, removing barriers that inhibit the fish from reaching their spawning ground; researching ocean acidification; and removing rundown vessels on waterways, according to an emailed statement from the state’s Department of Natural Resources. The department’s previous two-year budget for similar programs and efforts cost the agency $55.5 million, according to Franz’s staff. The overall budget for the department last year was $351 million. The request directly addresses suggestions from Gov. Jay Inslee’s orca-recovery task force. 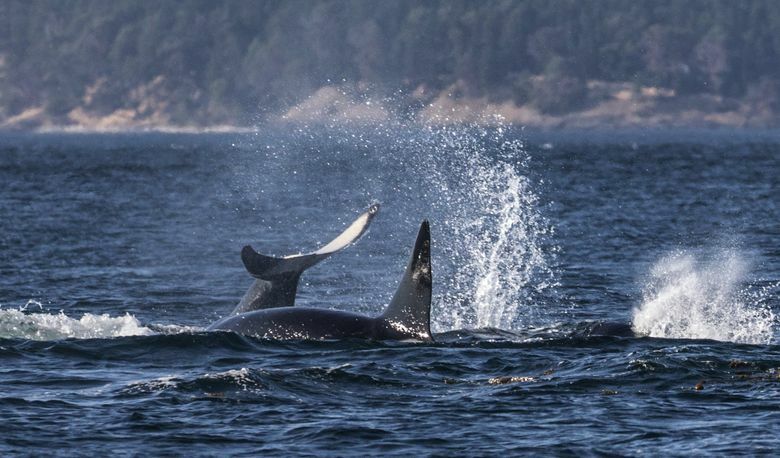 The group issued a list of recommendations last week to save the animals, including breaching two dams to increase salmon returns and partly suspending southern resident whale-watching tours for up to five years. It includes $22 million in operating budget requests and $68 million for one-time capital budget projects. The $90 million request comes amid heightened concerns for the critically endangered local orcas, which suffered three deaths over the summer and haven’t had any of their calves survive in three years due to the lack of chinook salmon and the effects of pollution and vessel traffic in Puget Sound. Franz is faced with the challenge of getting state legislators to approve her request, but she is confident now is the time to address the issue. “We have really woke up and not just people within my agency, but our community and our leaders, [that] that we have a finite amount of time to make a significant difference,” Franz said. The package has support from the Lummi Nation and environmental advocates including The Nature Conservancy, according to the statement. Staff for the state’s commissioner of public lands is working with Sen. Kevin Ranker, D-Orcas Island, a prime sponsor of last legislative session’s orca-protection efforts, who said in an interview he had yet to review the request in its entirety and wanted to spend more time with it to understand it.